Archive for the ‘2010’ Category. These are the fastest growing counties in gubernatorial voters between 1986 and 2010. Counties won by Paulus are in red and those won by Goldschmidt are in blue. Paulus lost narrowly, 52 percent to 48 percent, in 1986. Washington County was the biggest Republican county in 1986. 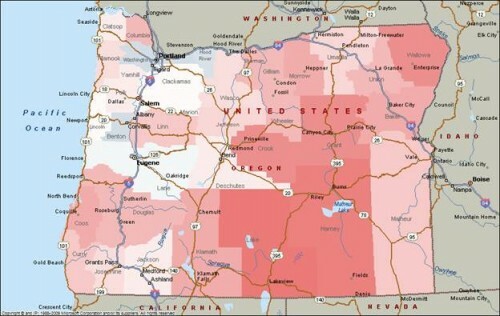 If you told an Oregon Republican strategist in 1986 that the fastest growing counties the next 24 years would be these, confidence would abound. Look back at the 1986 results (http://lindholmcompanyblog.com/?p=5215) and now look at the map above. 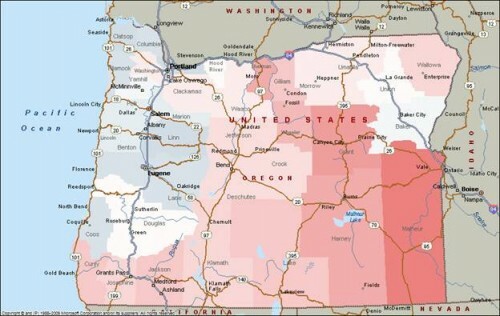 If you had told a Republican strategist in 1986 that these population patterns would hold … how could they not expect a solidly Republican Oregon in 2010. The Republican areas in 1986 have generally grown the most. The Democratic areas in 1986 have generally grown the least. 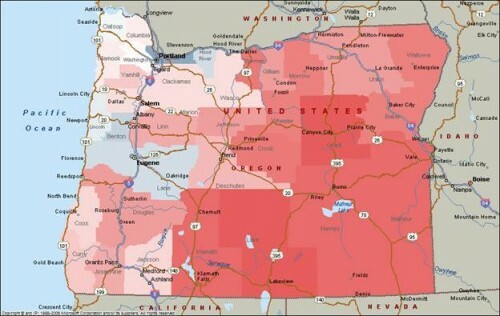 Something has clearly happened to change the fundamental bases of partisan support in Oregon. 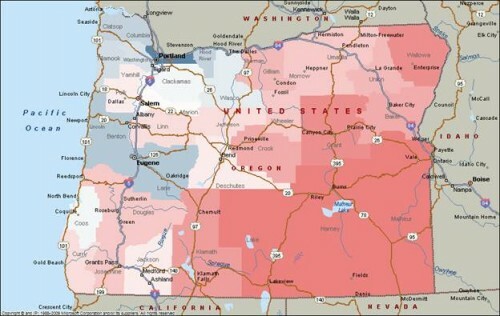 This map shows just how much Oregon’s geographic divisions have increased over 24 years. Much of the Democratic advantage has come from changes in the Portland area. The 1986 margin is at: http://lindholmcompanyblog.com/?p=5215. The 2010 margin is at: http://lindholmcompanyblog.com/?p=5221. The legend is in percentage terms. The map indicates the percentage voting for Chris Dudley (R) in the head-to-head with John Kitzhaber (D). Kitzhaber won with 51 percent. The statewide percentage for the Republican and Democratic candidates were roughly the same in 1986 and 2010. 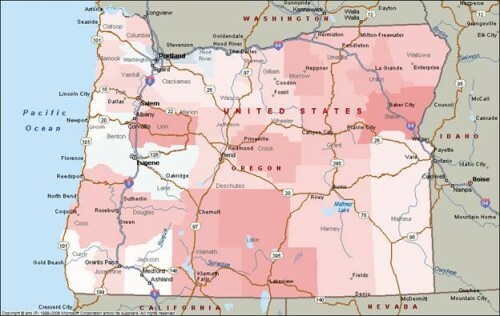 It’s clear that, since 1986, Oregon’s geographic divisions have become much sharper. 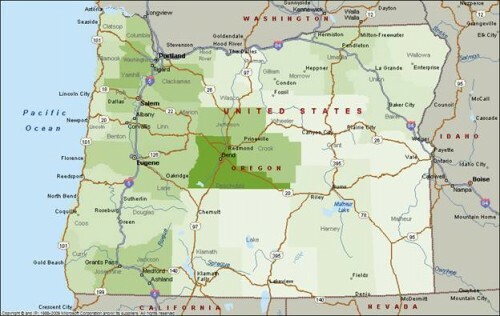 For example, Multnomah has become more Democratic. In addition, the Democrats have made inroads with Republican areas. The solidly Republican, in 1986, suburban county, has gone to the Democrats.